"Everyone in the world should have access to the internet," says Mark Zuckerberg's latest post on Facebook. "That's why we launched Internet.org with so many different initiatives -- including extending networks through solar-powered planes, satellites and lasers, providing free data access through Free Basics, reducing data use through apps, and empowering local entrepreneurs through Express Wi-Fi." "Today India's telecom regulator decided to restrict programs that provide free access to data. This restricts one of Internet.org's initiatives, Free Basics, as well as programs by other organizations that provide free access to data," Zuckerberg continued in his post. That's where Zuckerberg enters dangerous territory, because he forgot to mention that this "free access to data" is only to a limited number of websites and apps, handpicked by Facebook themselves. That unfair initiative, couched in the comfortable term Free Basics, has lost. 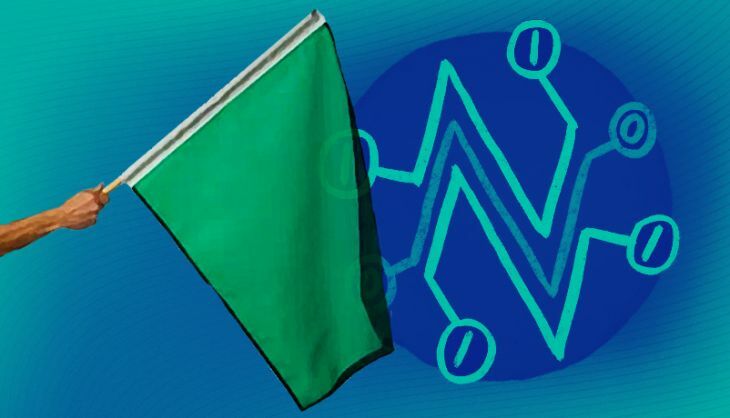 TRAI, in what could be called a landmark ruling, ruled in favour of net neutrality. 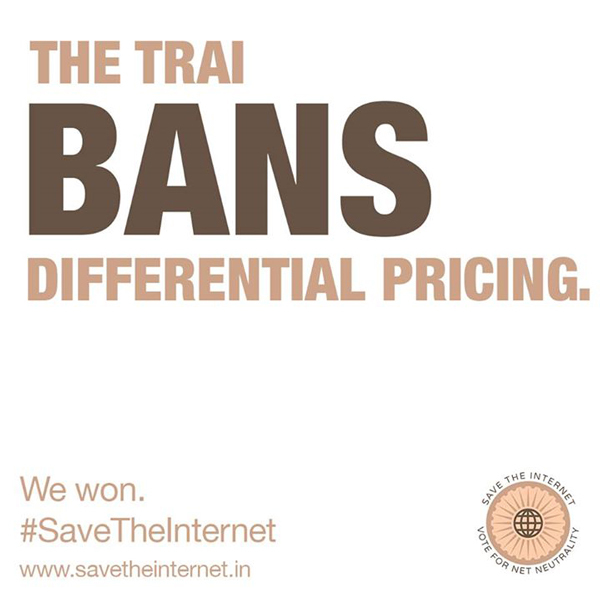 TRAI has said that no provider shall offer or charge discriminatory tariffs for data services on basis of content," read the Facebook post by SaveTheInternet shortly after Telecom Regulatory Authority of India (TRAI) announced its judgement on Monday, 8 February. Led by internet activist Nikhil Pahwa, SaveTheInternet, which led the fight along with other net neutrality advocates have won. "Today's decision is a major victory for free speech and for Internet users everywhere, no matter what Mark Zuckerberg's well-paid public relations team might tell you," US-based advocacy group Fight for the Future said in a statement. It's not the end of the fight, but a significant step ahead nonetheless. "While we're disappointed with today's decision, I want to personally communicate that we are committed to keep working to break down barriers to connectivity in India and around the world. Internet.org has many initiatives, and we will keep working until everyone has access to the internet," Zuckerberg said in his Facebook post. It's the newest salvo in a battle that's been going on awhile, in countries around the world. In India, the battle started on 27 March, 2015, when TRAI published 'Consultation Paper on Regulatory Framework for Over-the-top (OTT) services', a massive 117 page document. Facebook, for its part, tried every game in the book to win public support. According to a Livemint article, nearly Rs 300 crore was spent promoting Free Basics in India with hundreds of billboards and full-page newspaper ads. Back on 19 January, TRAI had called Facebook's Free Basics campaign 'crude' and 'dangerous'. In a letter to the social networking behemoth, they criticised Facebook's attempt to turn a consultative policy exercise into what the government body called a "crudely majoritarian and orchestrated opinion poll." The latest decision means that for the moment, Free Basics stands banned in India. So too do any others that fall under the category of zero-rated internet services - in other words, those services that let users access certain apps and websites without eating away at their mobile data, or simply put, for free. While zero rating is banned, equal rating will be allowed. What that means? Free access to the internet will be allowed - but it has to be access to absolutely everything (hence the words Equal Rating). What was Free Basics' argument? Facebook and other zero rated services claim 'some' connectivity to the Internet is better than none for those who cannot afford data access. They speak of the liberating power of the internet, an argument that is inherently valid - except when they put it in practice. In reality, access would benefit Facebook itself, as well as those that partner with the company, making them a gateway and custodian to the internet. TRAI's order gives all zero-rated services six months to shut down, and imposes a fine of Rs 50,000 per day on those that fail to comply. 27 March, 2015: TRAI had set a deadline for the public to send in their views by 24 April. 6 April, 2015: Bharti Airtel, one of India's biggest telecom providers, launches Airtel Zero. Simply put, it allowed customers to access certain apps at zero data charges. Almost immediately it drew criticism. 13 April, 2015: TRAI receive over 1,00,000 emails in support of net-neutrality. Mostly thanks to SaveTheInternet and their campaign. 14 April, 2015: A day later, Flipkart pulls out of Airtel Zero following public outrage. Cleartrip also pulls out. 12 December, 2015: The 'Consultation Paper on Differential Pricing for Data Services' was floated by TRAI. The paper sought comments on whether or not differential pricing should be allowed. 17 December, 2015: 'Save Free Basics' campaign was launched by Mark Zuckerberg and his team at Facebook. This was in support of 'digital freedom' as they say. 22 December, 2015: Notifications were sent to numerous Facebook users across the world asking for their support towards Free Basics. 23 December, 2015: Reliance Communications, sole partner of Facebook's Free Basics was asked to put its service on hold. 29 December, 2015: A letter from nine different start-ups and various academics from the Indian Institute of Technology and Indian Institute of Science wrote to TRAI opposing the differential pricing. 30 December, 2015: Mark Zuckerberg steps up his game by reaching out to Indian entrepreneurs. On the same day, the deadline was extended by TRAI and Free Basic supporters were asked to send in specific responses. 7 January, 2016: Last day for submission of comments. 8 February, 2016: TRAI rules in favour of net neutrality. Judwaa 2: It's Varun Dhawan, David Dhawan and Sajid Nadiadwala. Will Kareena Kapoor be roped in?